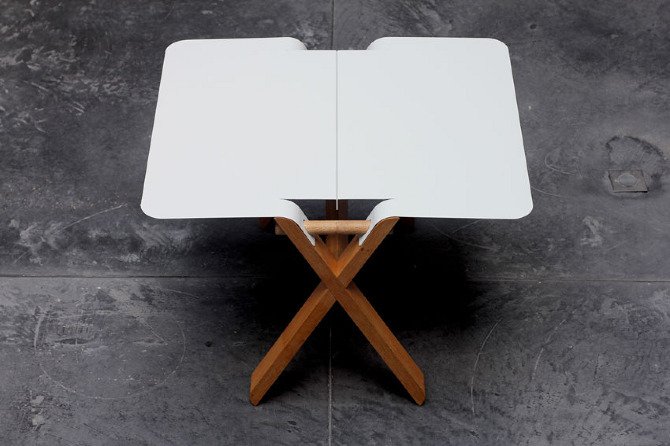 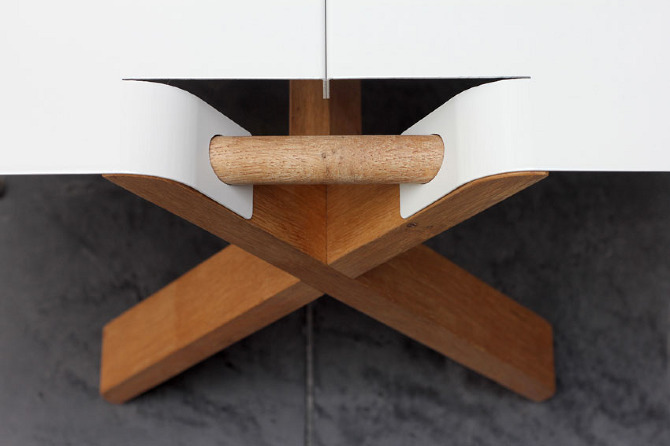 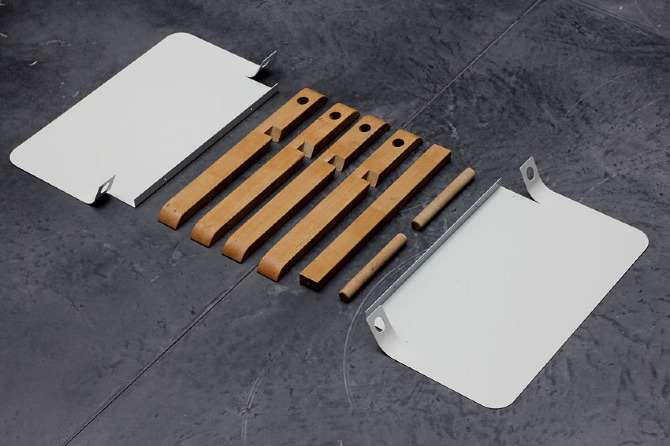 Designer Thomas Merlin about project: “The concept comes from the idea of connection between the two elements which make up a table: the table top on the one hand, and the table leg on the other hand. 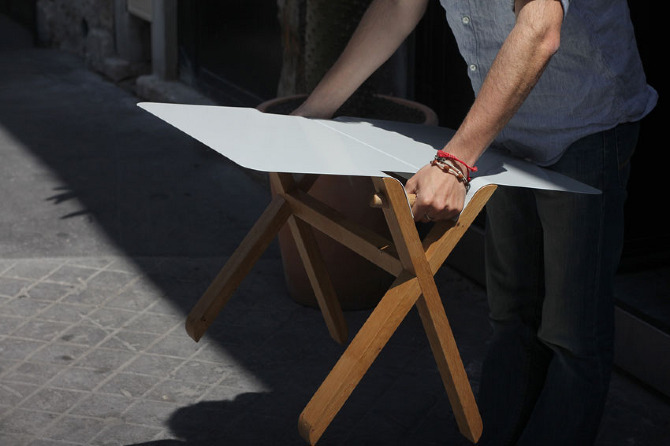 The particular drawing of the table allows to fix these 2 elements by using a crossbar, which also serves as a carrying handle. 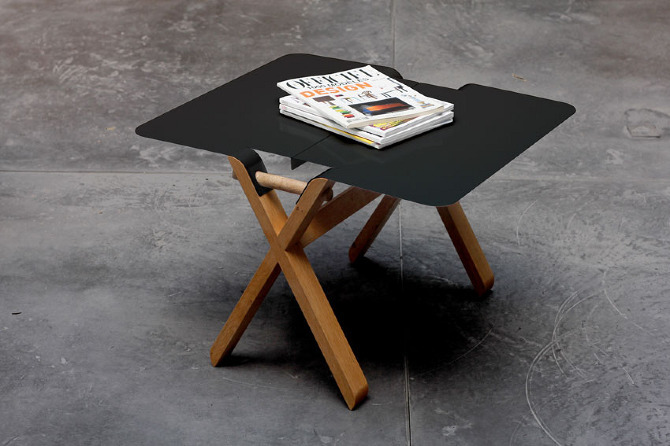 This makes the small table easy to move in the house.